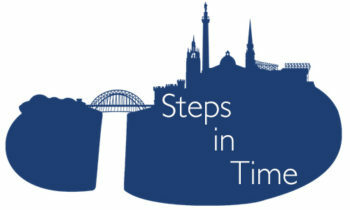 Steps in Time is designed to take you on a poetic tour of Newcastle and Gateshead. Use the map to see where poems are located, or use the list of locations to read about some of the towns’ landmarks and hidden historical gems. To get started, open the map. If your device allows location services, Steps in Time will attempt to find your location and display it on the map. From there, you can track your progress as you wander around Newcastle and Gateshead. Select a location on the map to see its name. Tapping on the name will then take you to the information page for that location. Once you have visited the location, you will also have the option to read and listen to the poem written about it. If you like, you can lock your device or leave the app running in the background as you walk around. When you reach a new location, your device will vibrate to alert you. Return to the app to see and hear the new poem. If you do not wish Steps in Time to track your progress, please exit the app. Your location details are only used by the app and are not stored by Newcastle University or shared with anyone else.